On Thursday, July 19th, the Xiaomi Mi Max 3 is expected to become official. The latest rumored specs reveal just how "Max" some of the specs are for the 2018 version of Xiaomi's phablet. For example, the device is expected to feature a huge 6.9-inch display, carrying a 1080 x 2160 resolution (FHD+). Those who remember how to do simple math will quickly recognize that the handset has an aspect ratio of 18:9. Under the hood will be the Snapdragon 636 Mobile Platform, equipped with an octa-core CPU running at a clock speed of 1.8GHz. The Adreno 509 GPU handles graphics. The Mi Max 3 has three variants: 3GB of RAM with 32GB of native storage, or 4GB of RAM with 64GB or 128GB of native storage. 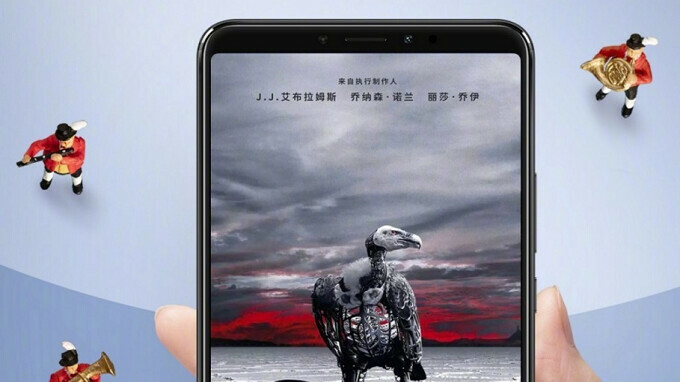 The Mi Max 3 will come with a dual camera setup (12MP + 5MP) adorning the back, a rear-facing fingerprint scanner, and a massive 5500mAh battery. That one component alone could help generate sales of the handset. Xiaomi's MIUI 9.6, based on Android 8.1, is pre-installed. If Xiaomi does unveil the Mi Max 3 on Thursday as expected, we should learn more information about the device such as pricing and availability. And we will also learn whether the rumored Mi Max 3 Pro model is real. This premium variant is said to be equipped with the Snapdragon 710 SoC, 6GB of RAM and 128GB of native storage. And this is why tablet sales are dying, apple. 2 more years and it will follow ipods. Um... why are you singling out Apple here? They sell more tablets than their next three closest competitors... combined. The tablet market as a whole is drying up but Apple at least makes decent gains from their offerings, something no other OEM can say. And it's not like Apple doesn't already have the best selling phablets on the market once the plus models come out in the fall. Really off-brand comment on your part. Why argue with a brick wall? "Singling out. Really off-brand comment on your part." If you treat companies and brands like human beings then you sir, are a blind, super-sensitive, self-loathing, tech slave. Gadgets are products, you don't treat them with compassion like you do to living things. Stop acting like apple is a god. How am I treating Apple like a God by using factual analysis to question YOUR claim? I knew I will trigger somebody here. If you write a comment which is irrelevant from the content of the article expecting someone to get triggered, then that's a trolling. Please refrain from doing it. Why is my comment irrelevant from dying tablet sales? Phablets are improving and more handy than their bulky first gens. People don't need to buy another product just to satisfy their media consumption needs. When I said I knew someone will be triggered, I know that a fanboy will show up just to lecture me about stats, sales and other marketing blabbers about their beloved fruit. I am not trolling, I just expect that people are too sensitive when somebody say bad things about their precious brand. If you don't want to feel you're getting troll comments, stop being a fanboy keyboard warrior and go back to the days when tech are criticized and treated like products. This Xiaomi Phone literally has nothing to do with Apple, at all. As I said, the Plus model iPhone is the fastest selling phablet on the market, Apple already knows that people are buying bigger phones. How much would this cost? Like ballpark. I'm thinking of picking up a Xiaomi Redmi 5 plus for around 200 Aus. Wonder if this will be close to that. Three questions .... Is it available from Verizon, or work on their network vis SmartTalk, etc ??? How BRIGHT is screen in sunlight ??? How LOUD .... and does it have FRONT-facing speakers ??? Oh .... and "how much" .... (for "pro" model) ??? But I assume we will know that in two days.